3. Can a Roth IRA Be Closed at Any Time? An individual retirement account, also known as an IRA, is a powerful tool for individuals seeking to establish solid financial footing for their retirement. 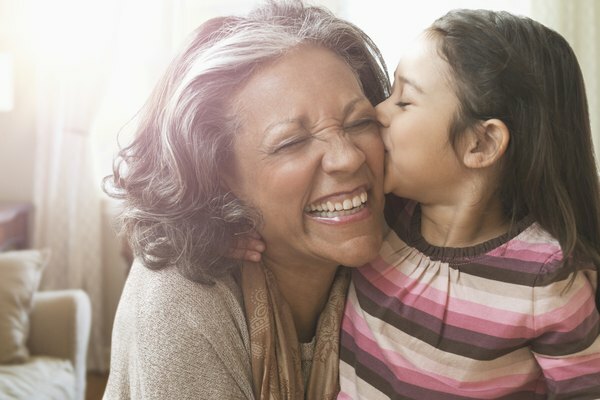 Regardless of your current age, you can quickly open an IRA and begin contributing a portion of your income to this account on an annual basis. The average adult can take advantage of either a traditional IRA or a Roth IRA. The primary difference between these two forms of retirement accounts relates directly to tax duties. With a traditional IRA, taxes are deferred until the withdrawal period begins. With a Roth IRA, however, funds are taxed prior to being deposited in the account. While this may seem more costly than a traditional IRA, individuals using a Roth IRA can withdraw these funds during their retirement on a completely tax-free basis (assuming they have not incurred any early withdrawal penalties). Regardless of which particular IRA you choose, you will likely be forced to pay a series of IRA fees throughout the lifetime of the account. Understanding how these fees accrue and how much you can expect to pay on an annual basis will help you make smart financial decisions for your future. Depending upon the specific financial institution you choose to manage your IRA, you will likely be required to pay management fees alongside various expenses for account transfers and individual market trades. After compiling a list of potential IRA account managers, you can begin a simple comparison process in order to determine which service is best aligned with your interests. Before this process can be effective, however, you will need to understand the various fees imposed as part of an IRA and how they are accrued during the lifespan of your account. When you open a new IRA, you will be creating this account through an established banking service or investing company. The choice is yours when it comes to selecting an IRA provider, although it is definitely worth your time to compare the various management fees associated with these accounts. Broadly defined, an account management fee can be thought of as a recurring expense that is typically a percentage of the total sum of money you have in your IRA. Although these fees may seem superfluous considering you will not be accessing your retirement funds in the short-term, it is important to remember that your IRA represents an investment in the financial marketplace. In a situation where your IRA is composed largely of individual stock funds rather than an index fund, you will essentially be paying for an individual to provide you with regular reports concerning your stocks' performance and any potential recommendations they may have to improve your profitability. If action needs to be taken regarding the stocks in your IRA, the fund manager will be responsible for executing these tasks. With that in mind, the fund management fee is essentially used to compensate the fund manager for their expertise and services. A management fee of approximately 0.82% is common for actively managed funds, while generalized index funds are accompanied by significantly smaller fees of approximately 0.09%. Before opening your IRA, it is in your best interest to determine how the management fees for your preferred IRA accounts compare to this national average. Due to the fact that your IRA is composed of various investment platforms such as stocks and bonds, expanding the size of your account will involve active trading in the marketplace. Because of this, you can expect to pay a commission on any market activity that occurs as a result of your IRA. Commission rates for individual stock trades can typically range between $4-$7, while mutual fund commissions can climb well above $40. With these figures in mind, it is easy to see how quickly you can accrue a large bill on trades for your IRA. Typically, you can secure the best trading commission rates by opening your IRA with the brokerage account you plan on trading with. In the event that you are planning to transfer a portion of your IRA away from your current IRA custodian or brokerage, you will likely be forced to pay a significant transfer fee. If you are attempting to transfer a portion of your IRA to a different account, you will likely be required to pay anywhere from $20-$30 to complete a partial transfer. This fee will be assessed each time you transfer a portion of your IRA. In order to complete a full transfer of your IRA account, transfer fees may range anywhere from $50 to $75. As mentioned previously, it is in your best interest to commit to in-depth research regarding the rates and fees attached with IRA accounts managed by today's leading brokerages and banks. In many situations, it can be beneficial to develop a list of pros and cons for each IRA account service, allowing you to prioritize particular features and offerings and ensure that you commit to the most compatible account manager for your needs. It is also worth noting that you should contact the account brokerage service directly if you have any questions about their IRA services. They can also help you select the best IRA investments. As mentioned earlier, you also have the opportunity to select either a traditional or Roth IRA for your savings plan. For tax year 2019, you can contribute up to $6,000 annually into these accounts. However, if you are a single filer and your income is above $137,000 in tax year 2019, you will be ineligible to contribute to a Roth IRA. The maximum income contribution for a Roth IRA begins to diminish as soon as an individual begins to make over $122,000 (for tax year 2019). This information could have a direct impact on the choices you make when it comes time to select your IRA provider. In some situations, you may decide that an IRA is not the best use of your funds. This is a topic of discussion that your preferred brokerage service or financial advisor could discuss with you. In the event that an IRA is not in your best interest, there are a variety of other retirement savings tools that can help you achieve your long-term savings goals. Considering the significance of the IRA account and the impact it can have on your retirement years, you should make sure you have all of the information you need to make an informed decision about your account. Failure to do so could lead to unexpected expenses and reduced earnings over time. Can an IRA Contribution Roll Into a 401(k)?